Designed to be multi-purpose workhorses, HP ProLiant 2U rackmount servers are built with a higher level of redundancy and robustness in order to support a broad spectrum of critical and general business applications for the SMB and enterprise alike. 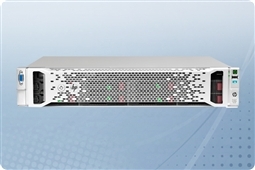 Aventis Systems offers HP ProLiant 2U rackmount servers in several generations with a wide range of options and configurations to fit just about any requirement and budget. Also browse our Dell PowerEdge servers and other high quality products today! 438GB (6 x 73GB) 10K U320 SCSI 3.5"
2TB (4 x 500GB) 7.2K 3Gb/s SATA 2.5"
1.8TB (6 x 300GB) 15K 3Gb/s SAS 3.5"
2.4TB (8 x 300GB) 15K 3Gb/s SAS 3.5"
4TB (4 x 1TB) 7.2K 6Gb/s SAS 2.5"
3.6TB (12 x 300GB) 10K 6Gb/s SAS 2.5"
1.5TB (5 x 300GB) 10K 6Gb/s SAS 2.5"
5 x 256GB SSD 6Gb/s SATA 2.5"
12TB (12 x 1TB) 7.2K 6Gb/s SATA 2.5"